What’s better than a Skyline? A MINE’S Skyline, of course. 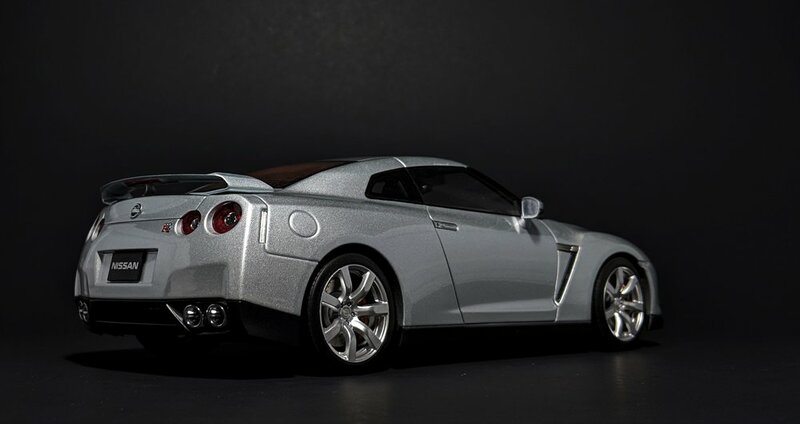 The year is young, but its most highly anticipated 1:18 model is finally here. And it does. not. disappoint. 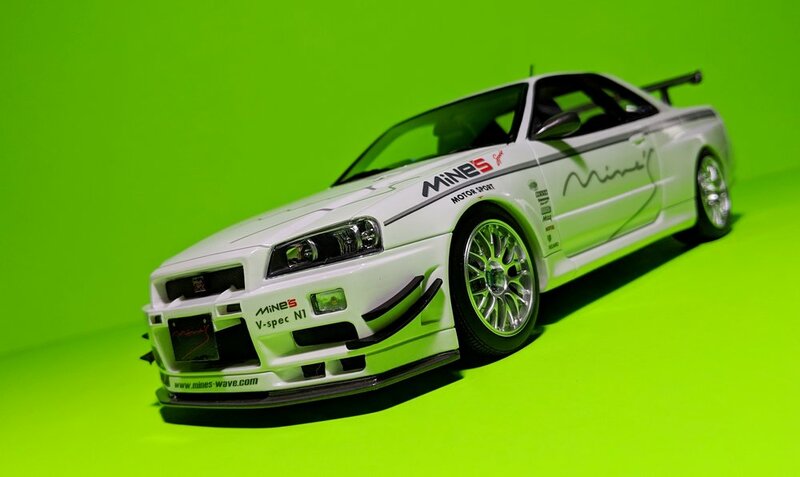 If you’re a fan of the Gran Turismo racing series, then this car needs no introduction. If you’ve played Gran Turismo, there’s a very good chance you’ve (virtually) driven one of these at some point. I mean, if you didn’t, did you even play the game? And if you’ve (virtually or not) driven one of these, there’s a very good chance you were blown away by how well it drove, how quick it was off the line, how it responded to every steering input no questions asked, how it always stayed poised through every gnarly situation and ate up every turn without hesitation. You’d think you were playing with a cheat code, but then you realize that this is a racing simulator you’re playing, made to simulate what the actual car drives like. Wait, it actually gets better? 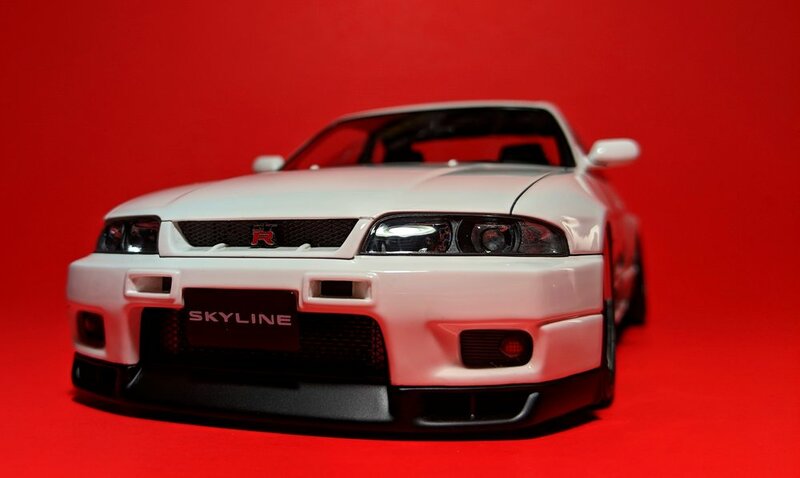 Considered by many enthusiasts to be the holy grail of all Skylines, the MINE’S BNR34 is part of a dying species of tuner cars that follows the formula of function over form. 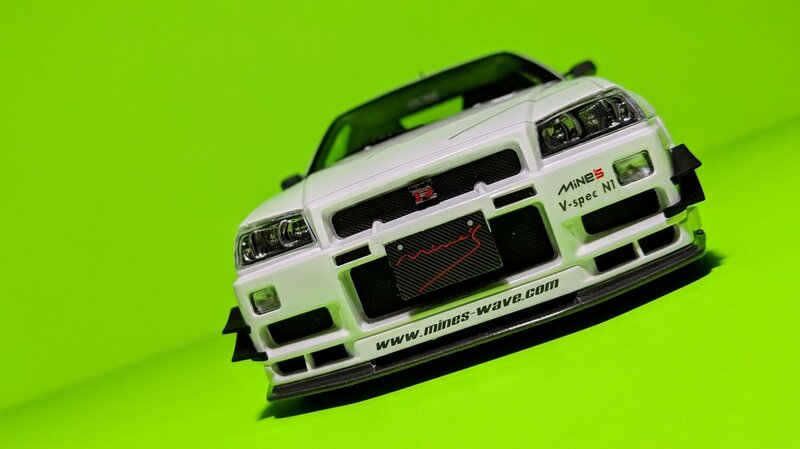 Unlike other tuning houses that throw bodacious bodykits on their cars, they keep the cosmetics to a minimum, focusing rather on the underpinnings that make this Skyline the purpose-built track maestro that it has become renowned for. 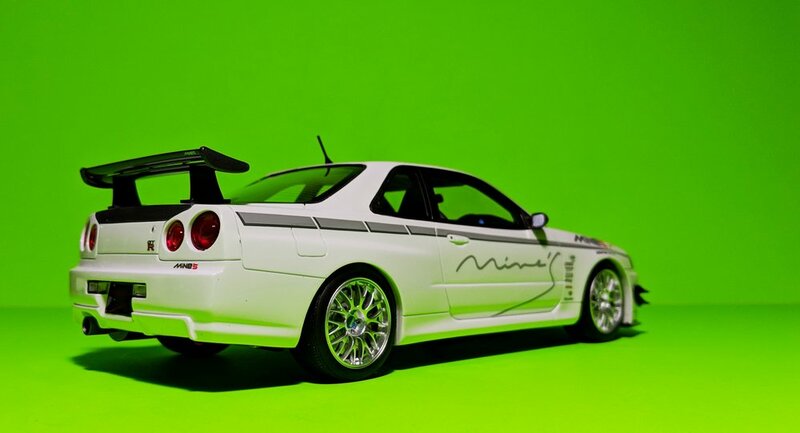 Picture the car without its vinyls and decals and you have, in all honesty, a rather plain R34 - with some carbon fiber bolt-ons and a set of new shoes. 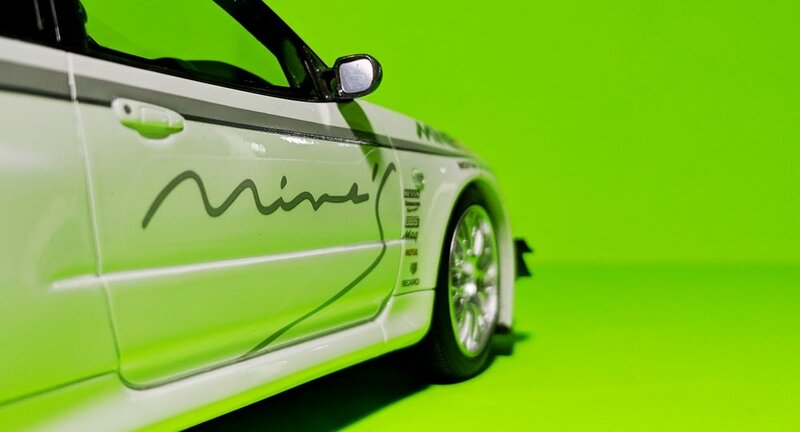 But it just looks so good with the signature ‘MINE’S’ scribble plastered all over the car! 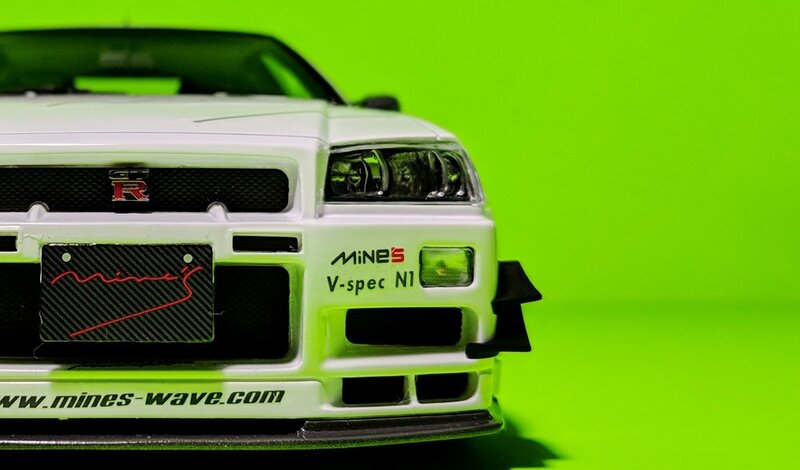 What I’m most excited to see is that Otto has amended the issues with their R34 GT-R mold. Prior models didn’t have the right proportions: the upper grille was the incorrect shape and the wheels were comically big. We can all let out a sigh of relief, though, as they got their act together with this release. 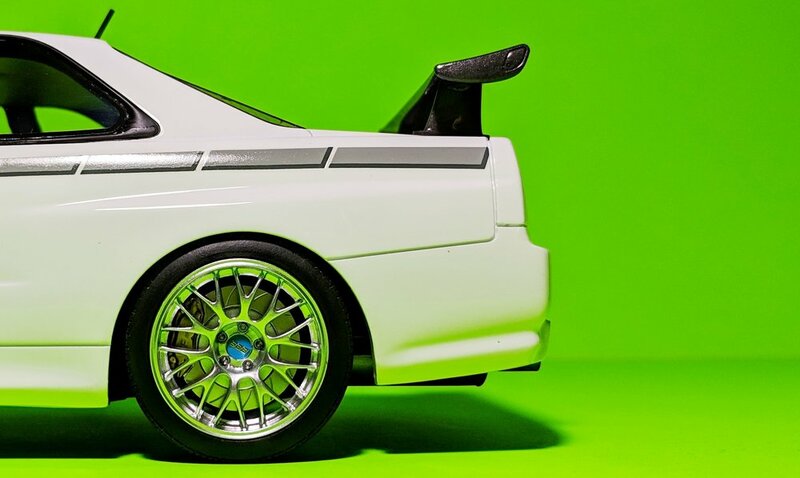 Although the actual car has more negative camber than what’s shown here, the best areas of this model are at the corners. The BBS RE-Mg racing wheels look fabulous, complete with blue center caps. The attention to detail continues further, where Otto even nailed the slotted pattern on the AP Racing brake rotors (and yes, the calipers are labeled too!) The interior is well-appointed with a blue Sparco flywheel and green Takata harnesses on the front seats. The carbon fiber accessories on the MINE’S BNR34 fall out of the priority list here - they’re simply painted in metallic grey, with no weave - but the amount of detail in this entry-level model is outstanding. It’s clear that Otto poured a lot into this release and, as a result of their efforts, we have one of the best models in recent memory. This is the Skyline we’ve been asking for. This is the Skyline we deserve. Ignition Models are a guilty pleasure of mine. They’re not cheap, but they’re always worth it. Specializing in tuned, modern Japanese classics and VIP-inspired saloons, they always deliver a masterclass on how to properly style a car. There’s no rice here, so you can put away your Zojirushi. Tasteful modifications permitted only. 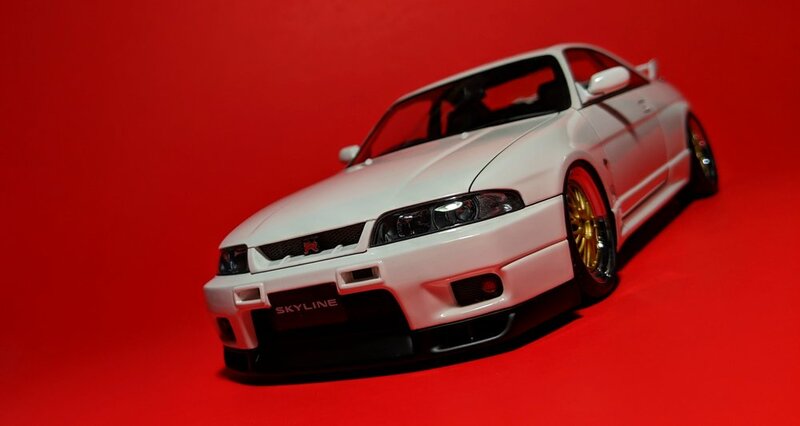 Example: this R33 Skyline. 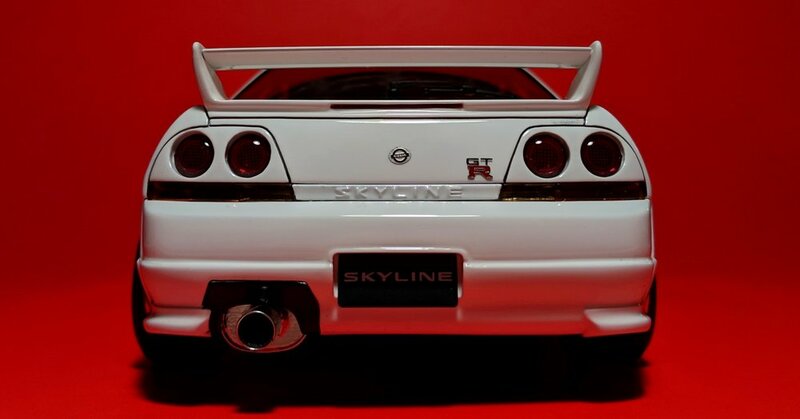 The most underrated, underappreciated, and overlooked Skyline is the R33. 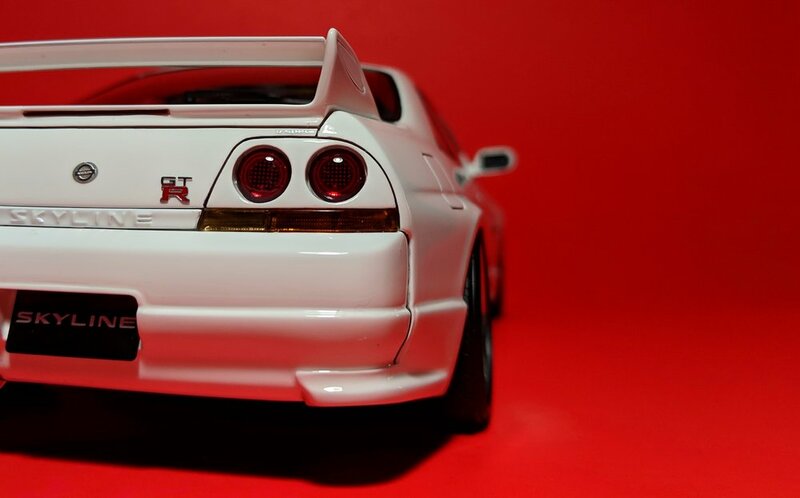 As the forgotten middle child, it’s caught somewhere in between the two prominent factions of GT-R fanboys: the older generation who side with the R32 and the newer generation who fawn over the R34. 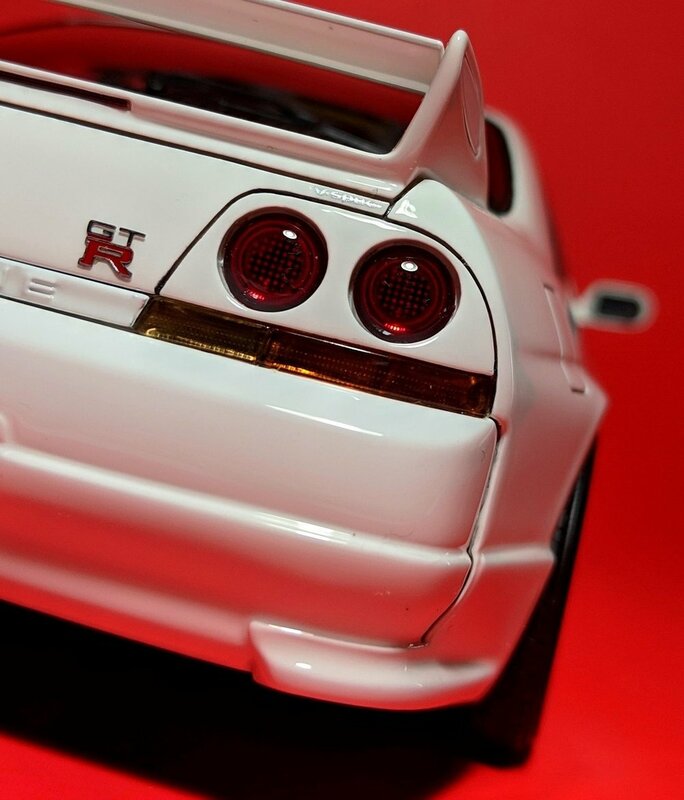 Retaining much of the same hardware (though more refined) from its predecessor, the R33 was reprehended for not bringing anything new to the table, among other criticisms such as being overweight and bloated. Yet, people forget that this was the first production car to do a sub-8-minute ‘Ring run, besting the R32 by a whopping 23 seconds. For perspective, just imagine the distance you can travel, at racetrack speeds, in that amount of time, and you’ll realize it’s actually quite a large gap. 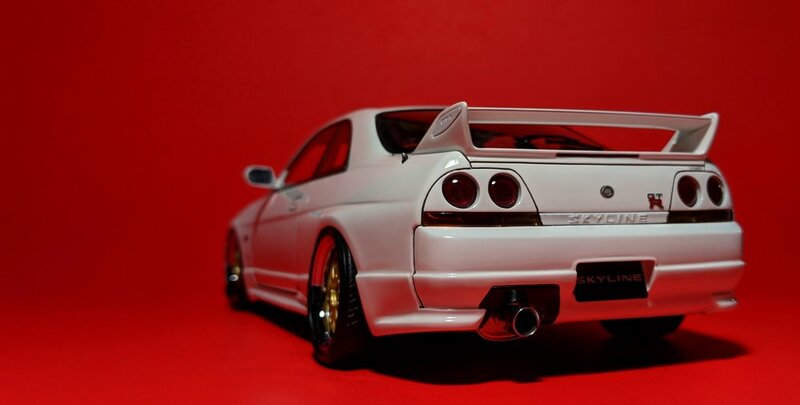 The R33 is also the sleekest and most perfectly proportioned Skyline of them all, but hey, that’s just my opinion. Feel free to continue throwing shade, though, because I’d really love to import one of these in a few years, and I need you guys to keep the demand - and prices - as low as possible. The level of detail from Ignition is always astounding. 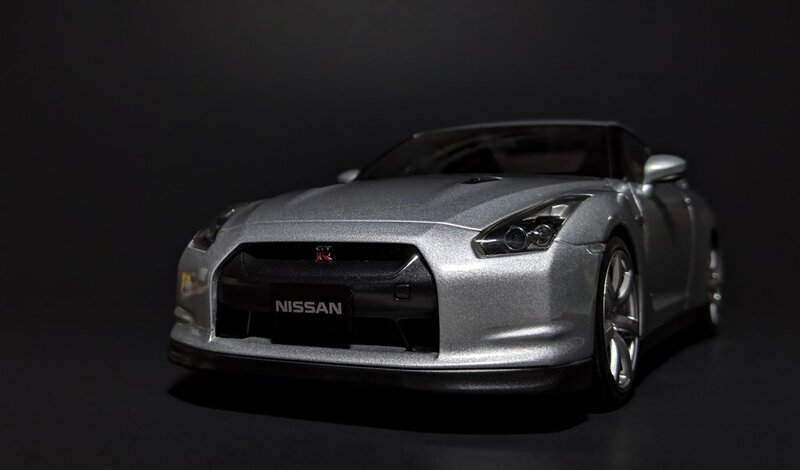 I would compare it to a plastic model kit that was customized and assembled by a master craftsman - without you having to put in any of the work, of course. It feels more like a piece of art rather than something out of a production line. Therefore, don’t expect to be able to play with it, because the wheels won’t roll; they’re glued on to achieve the cambered and flushed effect. The only blemish on this example is the crooked Nissan badge on the trunk - not sure how that one slipped through quality control. If there were such things as customer satisfaction ratings for scale model brands, Ignition would be right at the top of my list, above AUTOarts and Ottomobiles and other makers that I laud so often on here. 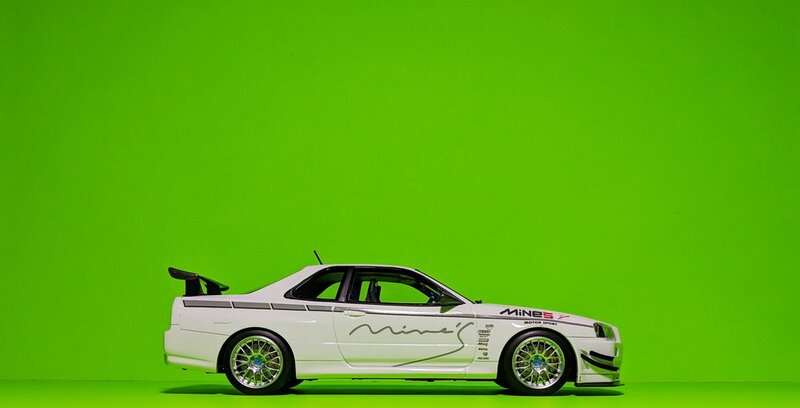 JDM fans, this is the brand that you should be collecting. One thing that Ignition does differently from the other guys: they trace the panel gaps and shutlines in black for an added touch of depth. You won’t find solid or painted grilles here either, because those are for the plebeians. Though it’s hard to tell from all the realism, you’re looking at a sealed model and not the actual car. 2020 is the year the R33 GT-R will be officially legal to import here in the U.S. You can bet that’s pretty high on my bucket list. Until then, my dreams will live vicariously through this 1:18. Thank you, Ignition. Yes, it’s made of that dreaded composite material, which is just AUTOart’s fancy way of saying “plastic”. No, the hood doesn’t open, so there are no engine details to ogle. Despite all that, Godzilla’s never looked better. 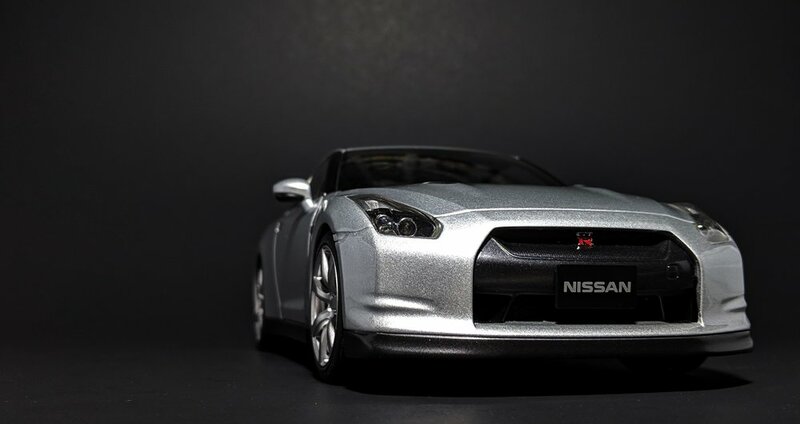 In 2011, the R35 GT-R received its first facelift, giving it a few subtle changes including a more angular front grille and a bunch of wrinkles on its cheeks. Along with the minor refresh, Nissan spiced up the GT-R’s hum-drum color palette with a splash of color. Aurora Flare Blue Pearl, which is presented on the model here, is like the modern version of the Bayside Blue made famous by the R34, albeit darker and more metallic. 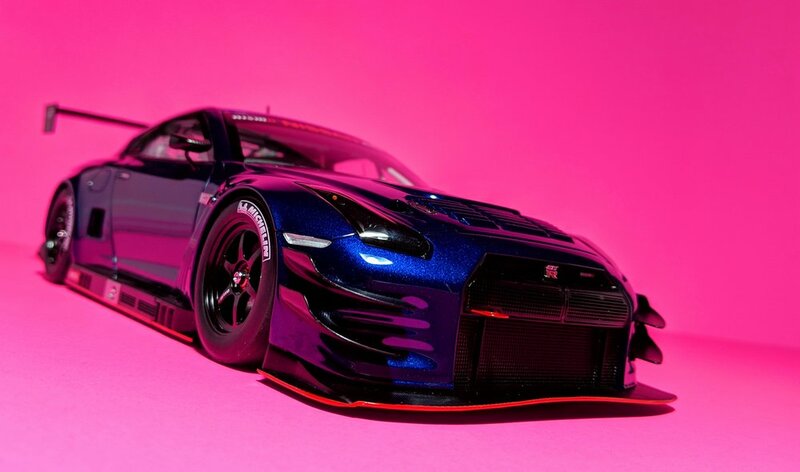 Choosing the plain body blue colorway over the other options was the obvious decision as no GT-R models in this scale have been offered in this color before. 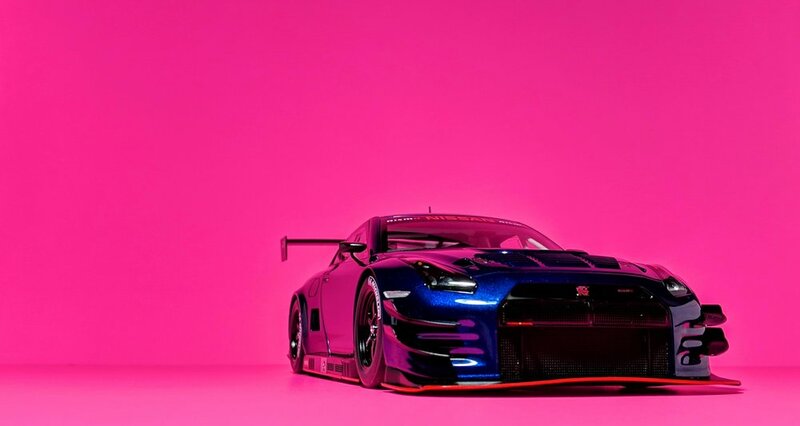 The NISMO GT3 is a made-to-order, track-ready version of the GT-R that you can get your hands on by calling NISMO, Nissan’s racing and motorsport division (NISMO is literally short for Nissan Motorsports), and forking over a healthy wad of cash. This is a more monstrous version of Godzilla, with more power and a lot less weight. It’s enjoyed some success in the racing world, most notably finishing in first place at the Liqui Moly Bathurst 12 Hour event in 2015 down under. An exact replica of the winning car, in its NISMO livery, was also offered by AUTOart at one point before it was discontinued. I missed out on that one, but second prize is quite nice too. 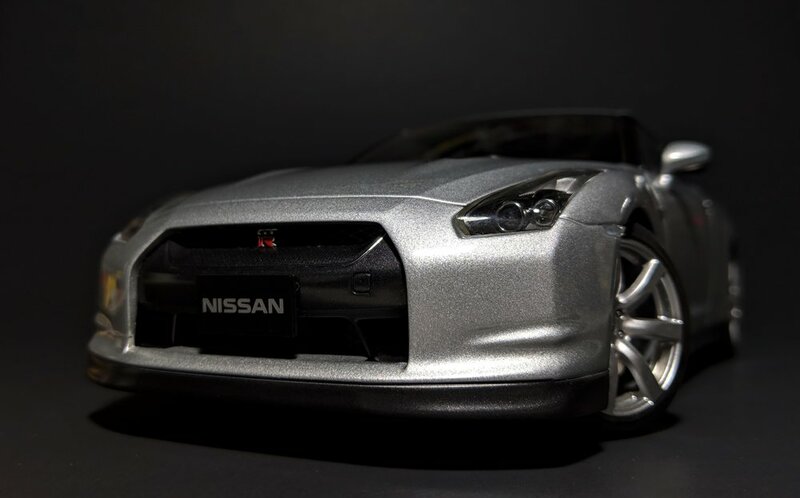 It’s strange that AUTOart never followed up their fantastic, stock R35 GT-R with any of its later model-year variations, especially considering the demand and popularity of Godzilla scale models these days. 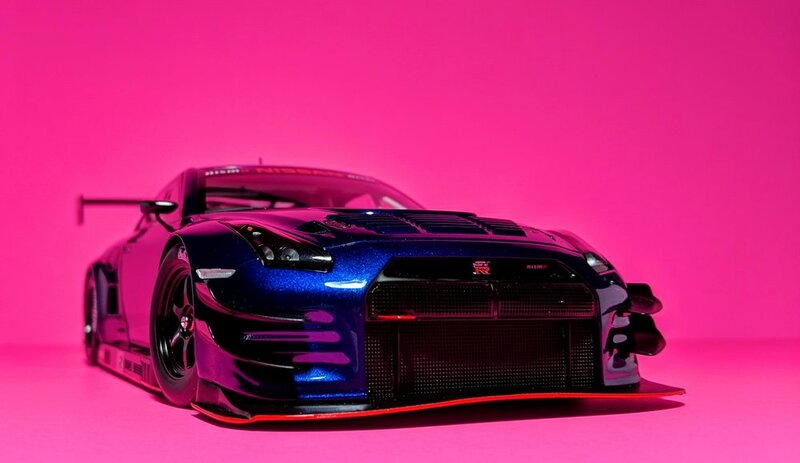 In particular, the first refresh - during the 2011 model year - is a large omission in eighteenth scale, across all brands, and this racecar-converted GT-R is the closest you can get to that specific body style. 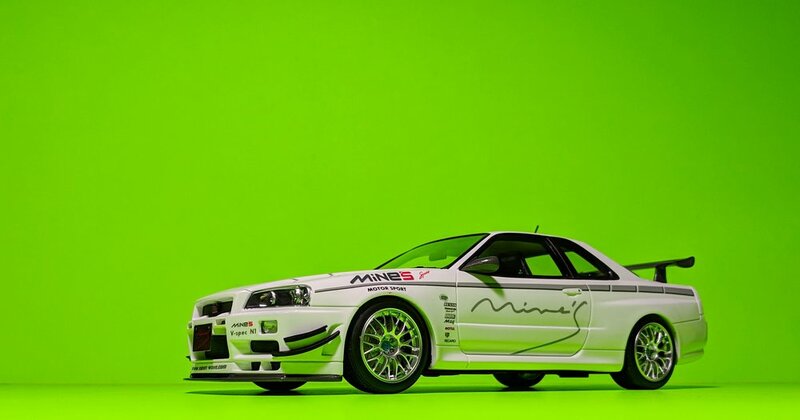 But because of its racecar DNA, everything about the car’s visuals is taken to the extreme. The dive planes are outrageous. The front splitter and rear diffuser are like surfboards, and the wing will put to shame anything from an Auto Zone catalog. The model sits barely a millimeter above the ground, and the wheels are so snugly fitted that there’s hardly any room for them to steer. This model lacks an opening hood and boot, but the offset of that is a lower price point, a fair trade-off because most people don’t display their cars with their parts open anyway. However, many collectors will immediately write this off because it’s not made of metal. A featherweight in comparison to other scale models, there is, however, nothing fragile about it. The build quality is solid. 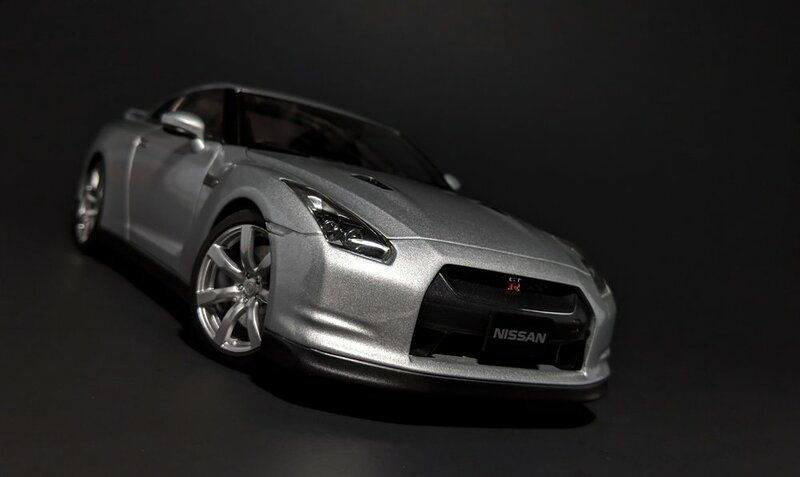 This GT-R’s got a plethora of small parts, and even I haven’t managed to break anything yet (the same can’t be said about many of my resin models). 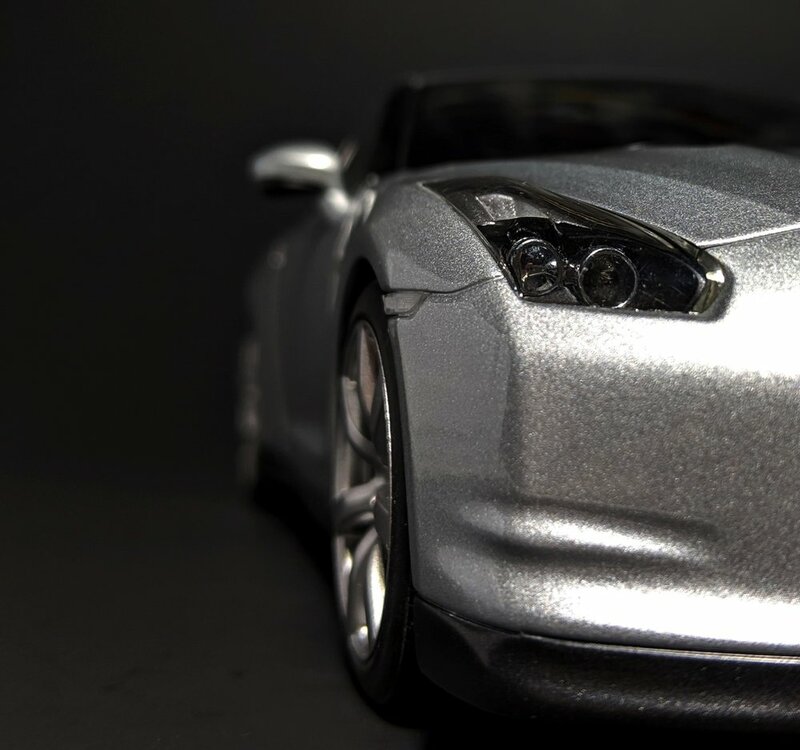 AUTOart hasn’t compromised on the detail, which is always above standard, so the only difference, really, between their newer and older products is the material that makes up the outer shell. Times have changed, and it’s time to embrace the shift towards composites and resins. Godzilla is still Godzilla, after all. Today is great. Today is fun. Because, today, I get to talk about my favorite car. 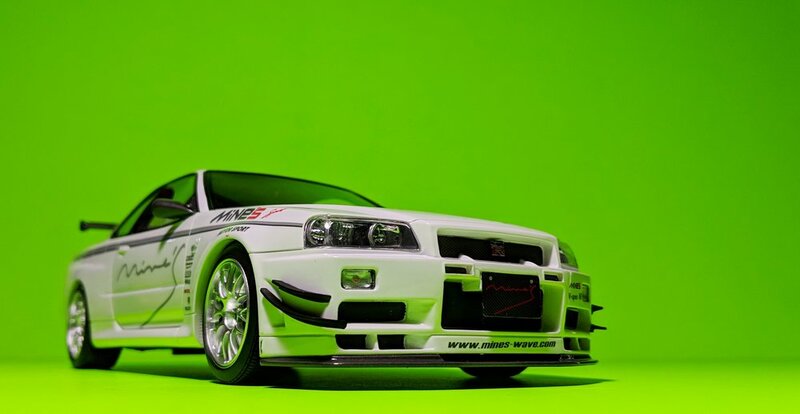 Once upon a time, Nissan created a car called the Skyline GT-R. They raced it against the world’s best. It won. And won. Over, and over again. It was so dominant in these matches that people coined a nickname for the car: Godzilla. Because, like the monster it’s named after, the GT-R crushes everything in its path. 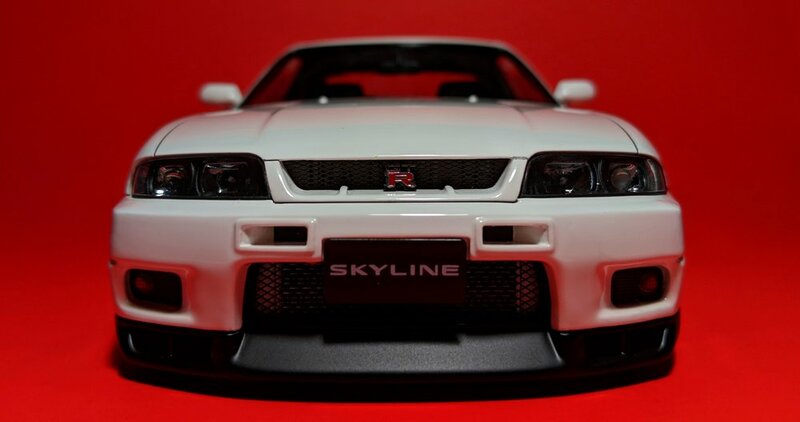 To be clear, that was the R32 Skyline GT-R and this is the R35. 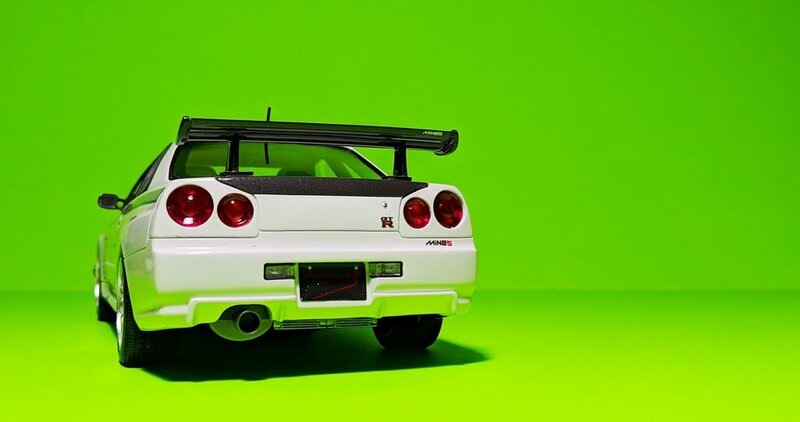 Nearly twenty years separate the two, but ‘Zilla has only become more powerful over time. The R32 broke the grounds, the R33 broke 8 minutes on the ‘Ring, and the R34 is currently breaking the hearts of fanboys who are patiently waiting for 2024 to come around (see: U.S. import laws). 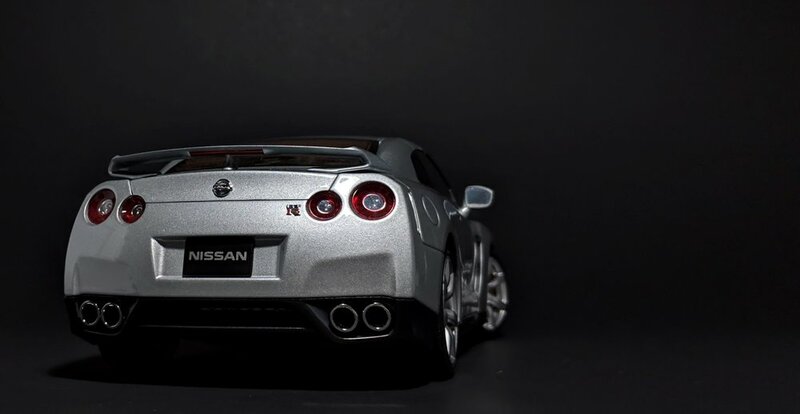 ‘Skyline’ is no longer part of its name, but the R35 is still blood. 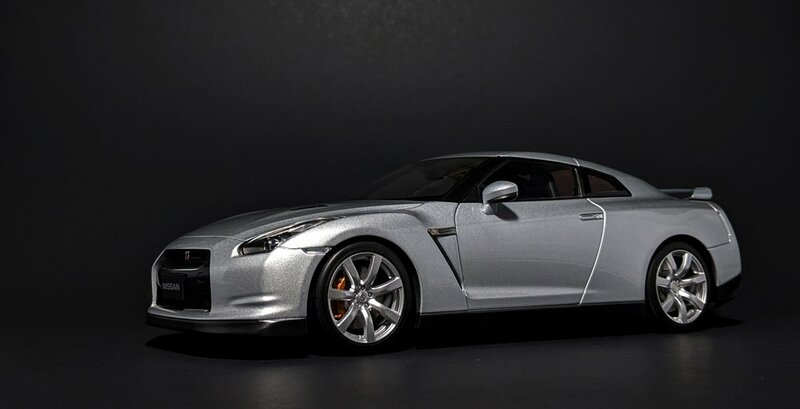 It’s the first GT-R to be officially sold here in the states, and it’s a big deal. When you talk about the most influential cars throughout automotive history, there’s a fairly standard list that you’ll get from people. That list most likely includes cars by the names of the Ferrari 250 GTO, McLaren F1, Bugatti Veyron, and so on. 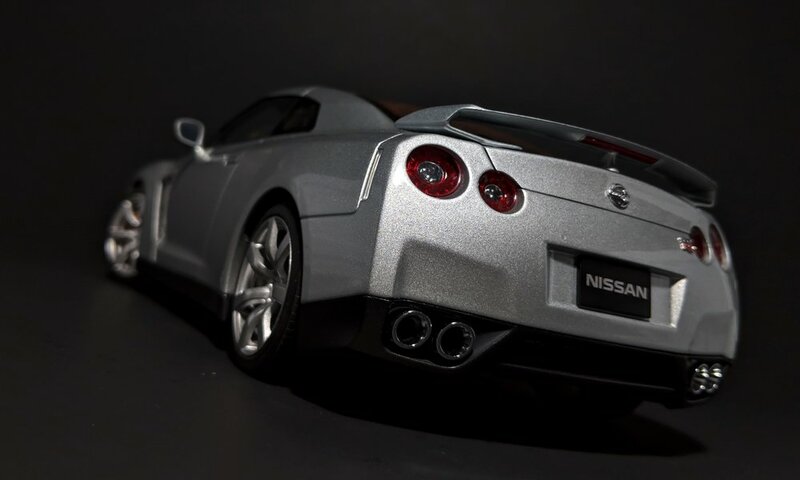 Allow me to put in one more: the Nissan GT-R. When the R35 debuted in 2007, it (like I said) was a big deal, and not just because Godzilla finally decided to swim across the ocean. It was a big deal because this was a $70,000 car that could smoke any Porsche, Ferrari, or Lamborghini. This was a supercar killer. It could kill cars that cost two, five, or ten times as much. It stirred up the automotive industry like no other car has done before, bringing out hurt feelings galore. 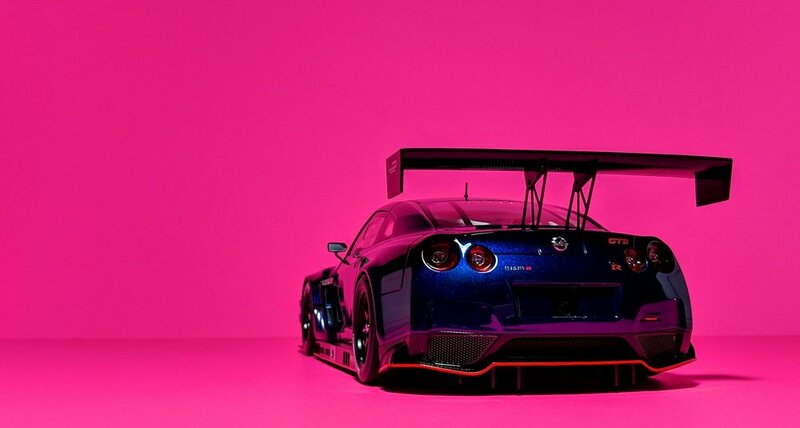 Porsche whined that Nissan was falsifying the GT-R’s lap times. The European and American car crowds couldn’t stand being outdone by the new kid on the block, who also comes from the same manufacturer that makes Sentras and Altimas. But in the end, you know who the winner was? All of us. The GT-R pushed the limits of not only itself, but the rest of its competition. It pushed other manufacturers to do better, to build faster cars, if for no other reason than bragging rights. It single-handedly accelerated the growth of the high-end sports car and supercar business and made groundbreaking performance easily accessible for all. I mean, the Bugatti Veyron was nice in that it set the top speed record at one point, but does anyone actually care? Last I checked, no one’s bothered trying to usurp it from its throne. But, the minute Nissan proudly boasted to the entire world that their GT-R clocked 7:26 around Germany’s famed Nurburgring, automotive warfare ensued. Chevy and Dodge pulled out all the stops with the Corvette ZR1 and Viper ACR, respectively, their versions of the bargain supercar - cars that probably wouldn’t exist had the GT-R not paved the way first. Not to be outdone, the legendary marques took up arms. The hypercar holy trinity (LaFerrari, McLaren P1, Porsche 918) can now get the job done in under seven minutes, but only if you have more than a million bucks to spare. 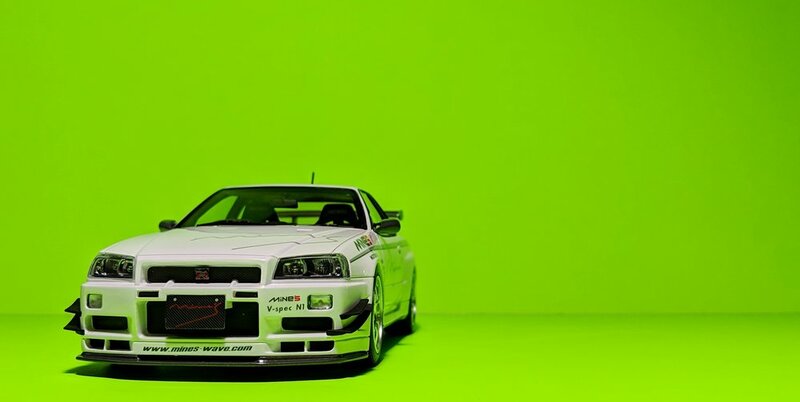 These days, ‘Ring times are considered obligatory for any remotely performance-oriented car, ranging from ultra-exotics to luxury sedans to high-powered SUV’s, and you can thank Godzilla for that. 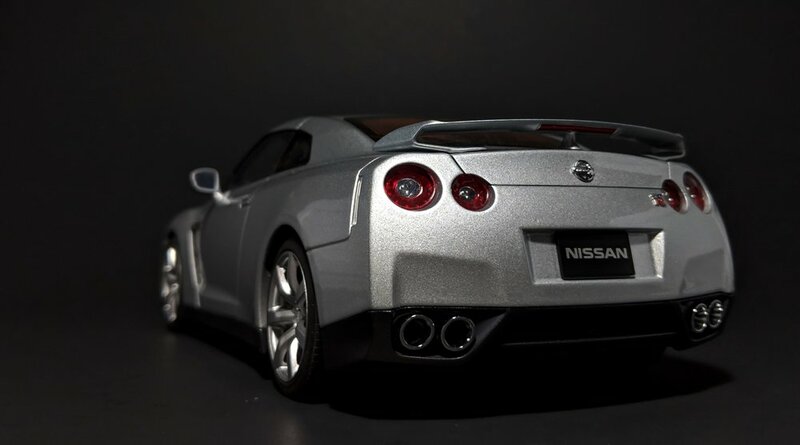 The Nissan GT-R will forever be the true king of Japan. Sorry, Lexus LFA and Honda NSX. Everything about it embodies the spirit of the Japanese, from its technological innovation to its macho, Gundam-esque looks. It’s a calculated, almost cold, machine that attacks a racetrack with brutal efficiency. To Godzilla, running a lap is a game of numbers, and you know what they say about numbers: they don’t lie. It’s got that magic box called the ATTESA E-TS all-wheel drive system that receives feedback from each wheel and calculates the amount of power to apply so that the car remains firmly planted to the pavement as you’re rounding the corners. It’s a forgiving machine that will pull you out of a turn unscathed even if you accidentally went in too hot. As the legend goes, an amateur can take a GT-R to track day and outrun the rich snobs with the Ferraris and Lamborghinis. Even the pros are stunned by its physics-defying capabilities. 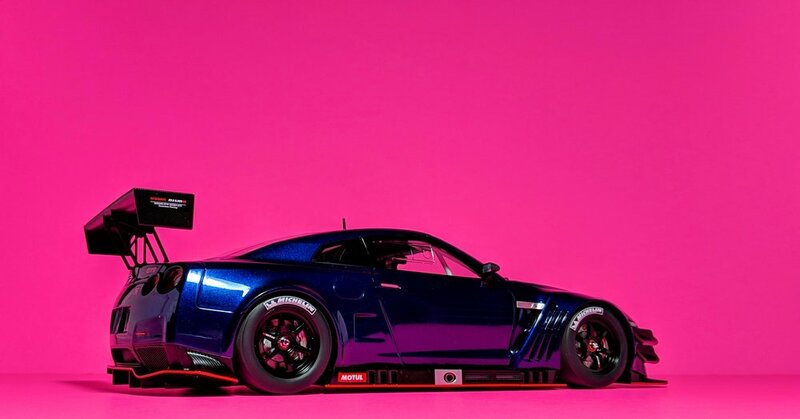 “There’s no way a 3,800-pound car should be able to turn like this!” Detractors want to call the car “soulless” and “boring”, but Godzilla is just doing its job as a precision instrument. 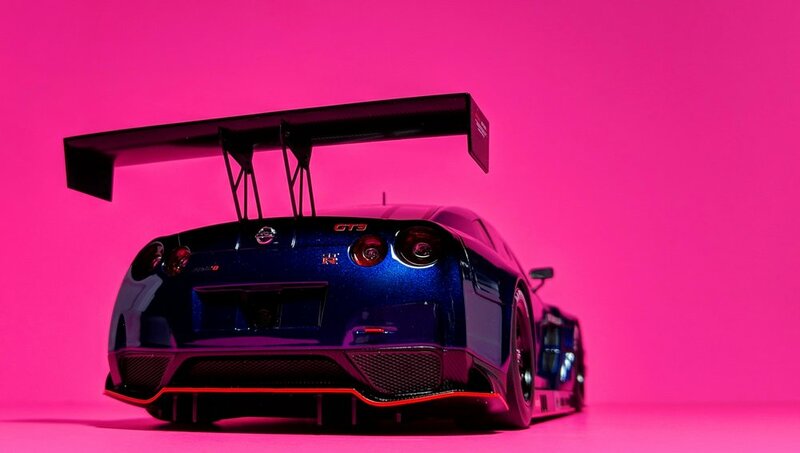 That’s what makes the GT-R amazing; it’s, simply put, an engineering marvel. I was just a naive high-schooler when the R35 GT-R made its debut, without a clue what my place in this world was or what my future would look like. One thing I am certain of, though, is that there will be one of these in my future. I’m not talking about the one you see here, or any of the other fake ones residing on my bookshelf. I aspire for the real deal. All car nuts have that one car that they long for, the car that motivates them to get up every morning and get things done, and this is mine. There’s a poster of one of these on my wall. I grabbed it from the Nissan booth at the auto show back in 2008, and it’s never left the wall in the decade-plus since. It reminds me, every day, not to lose sight of my goals. The hundreds of articles and reviews that I’ve read about this car over the years - one day I’ll finally know what they’re talking about. 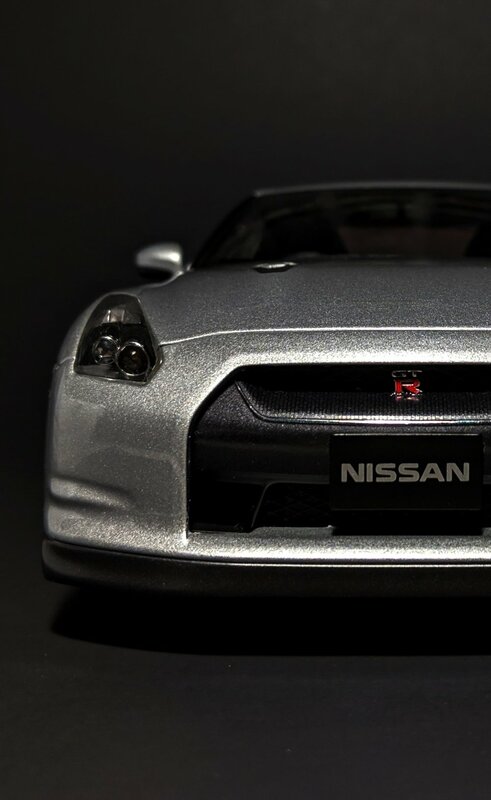 The model here, an AUTOart, is the cream of the crop if you want an eighteenth-scale miniature of the original R35 GT-R, before it underwent a series of nosejobs and performance tweaks (and price hikes!) to become the beast that you find in showrooms today. Through it all, the original will always be the more handsome one. Nissan has added more angles and vents to the design of the GT-R over the course of its 11-year-plus run, but there’s beauty in the simplicity. 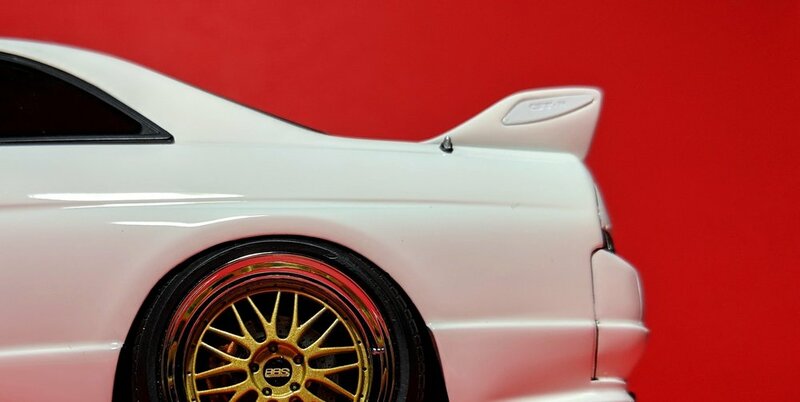 No more needs to be reiterated regarding AUTOart’s credentials as diecast’s gold standard. It’s fantastic. 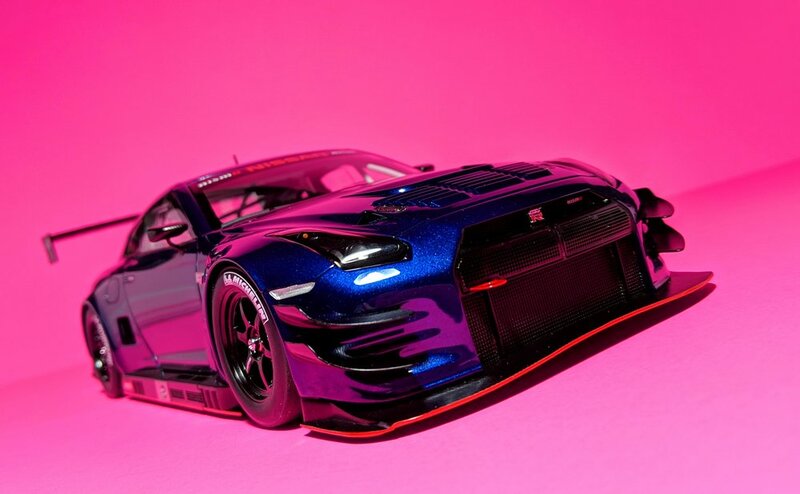 The Kyosho is a solid contender and an exceptional alternative, but it isn’t as proportionally accurate or intricate. Having long been out of production, this scale model of Godzilla has become increasingly desirable and a challenge to find. Like the real thing, it’s available in six different colors: black, white, silver, dark metal grey, titanium grey, and red. I’ve made it a personal mission to track down every iteration that AUTOart cranked out - it’s my favorite car after all - and, with the silver one here, have just knocked out the first four on the list. Titanium is a dealer-exclusive colorway, maybe the rarest of the colorways and red is perhaps the most valuable of them all. They also have limited-edition variants with matte black wheels as well as the SpecV versions in Ultimate Opal Black (got it!) and white. There’s a lot of work left to do, but that’s what makes it all the more fun. Let the hunt continue!